I was exhibiting at one of the expos some time ago- from memory it was the Tradesman’s Expo 2010 when I was approach by a couple of gents who had a proposal for a Aussie garage/shed magazine and whether I might be willing to be one of the writers for it. Over the course of the first 15 editions of ManSpace, spread over 5 years, I wrote about 38 articles in total, a few short, a few long. When the 15th issue came out, it didn’t list me as a contributor (although my segmented clock article was still inside) – in hindsight the writing was on the wall, and apparently issue 16 has been on the shelves a few weeks, with my last article left unpublished. The magazine has decided that it no longer wants a regular “how to” section (it had already stopped the tool reviews), and so, it seems, that is it. I was actually having a conversation with someone not two days ago, who was lamenting that with the aging population there was an increasing shortage of casual paying jobs, as the retired generation were looking for something to do, and are willing to give their time for free. In one respect, it seems that my Stu’s Shed section of the magazine has tripped over the same experience, as any future how to articles are to be written (for free) by those in the Men’s Shed organisation. C’est la vie. It was fun while it lasted. 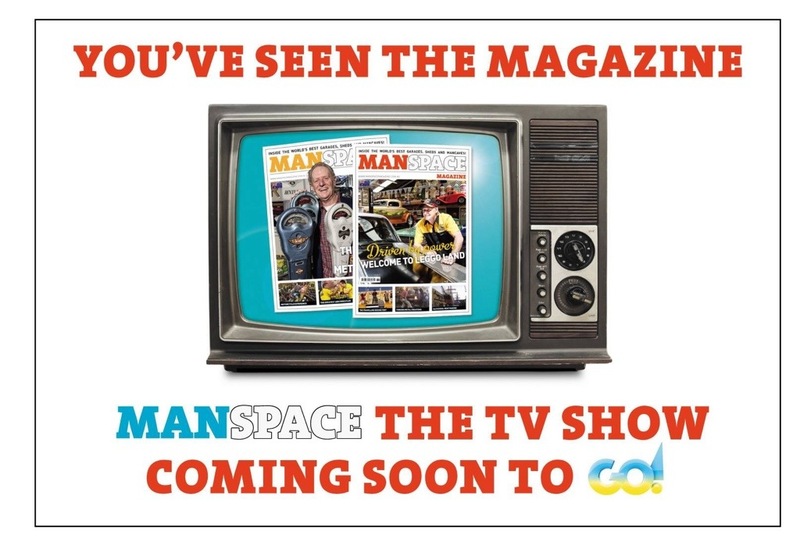 Apparently there is a second season of ManSpace TV on the way, although in season one it seemed to only give a passing nod to the magazine that started it, (although they ‘discovered’ on air many of the collections and sheds that had been featured in the magazine). Next issue is out (number 12 if anyone is keeping count). I’ve lost track of what episode ManSpace TV is up to, but it is travelling well. I have a couple of articles in this one- one on part 2 of the 3 part feature on building a shed, and a short one on bending timber with kerfing. Episode 1 has gone to air! For those that did watch it, what did you think? If you follow this link, you can watch the intro to the show. ManSpace TV is on its way! ManSpace comes to the Idiot Box! It seems like a very long time ago, but I can finally let you know a secret. 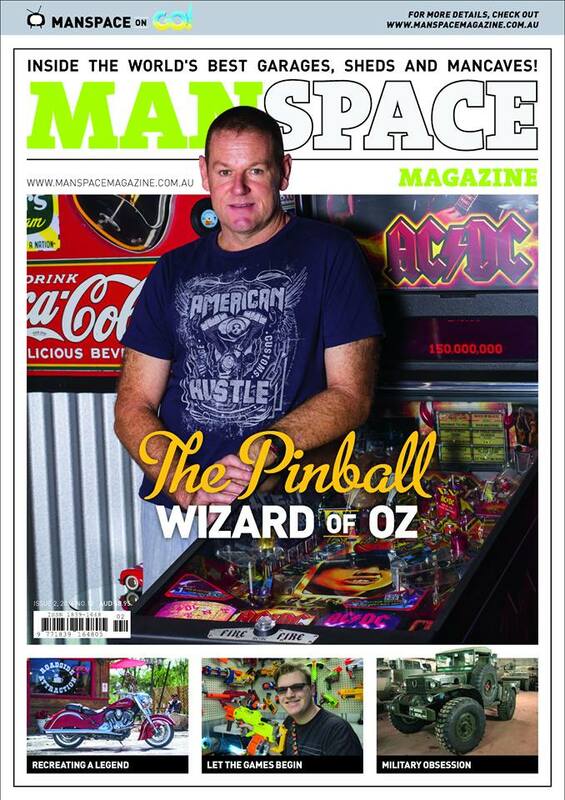 ManSpace Magazine is going to launch itself onto your TV set on May 12! I was at the filming of the first episode late last year, and it looks like it will be a pretty cool show, an extension of the magazine, and vice versa. It will be a 10 episode first series, I think each episode is to be 30 minutes long, and will air on GO! (Channel 9’s extra digital channel). Given Stu’s Shed’s connection to the magazine (I’ve been writing about tools and woodworking for them since the very first edition), I wonder if ‘The Shed’ will ever get to make an appearance? All in all, a pretty awesome development for ManSpace Magazine! Very exciting 🙂 Oh, and it will be good to see some shed-related content on the box again, and not just some reality show or other. The CNC Shark Pro from Carbatec. Carving the ManSpace logo in a piece of walnut.